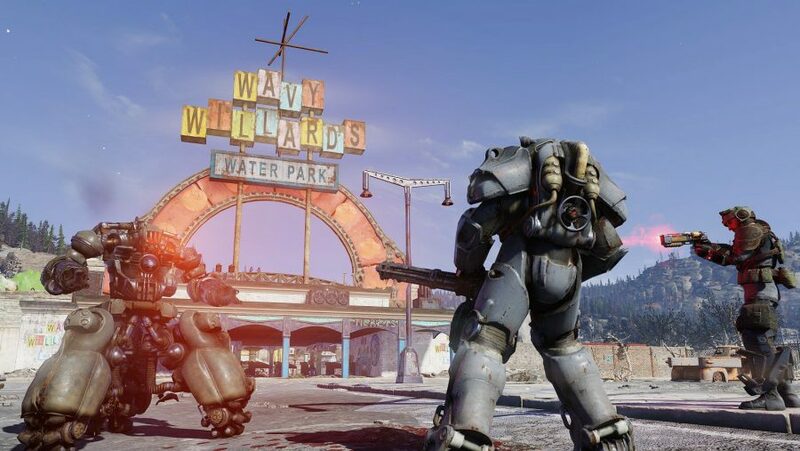 Fallout 76 factions are very different from the way factions have been handled in previous Fallout games, nominally because there are no human NPCs in Appalachia for you to receive quests from in the first place. While previous Fallout games have let you align with different groups to conclude the game’s main quest and even form alliances for side quests, factions in Fallout 76 are all about players unlocking access to bespoke gear. While Fallout 76 doesn’t have any human NPCs to engage with, it is possible to join a number of factions in the game, ranging from cultists to the Enclave. 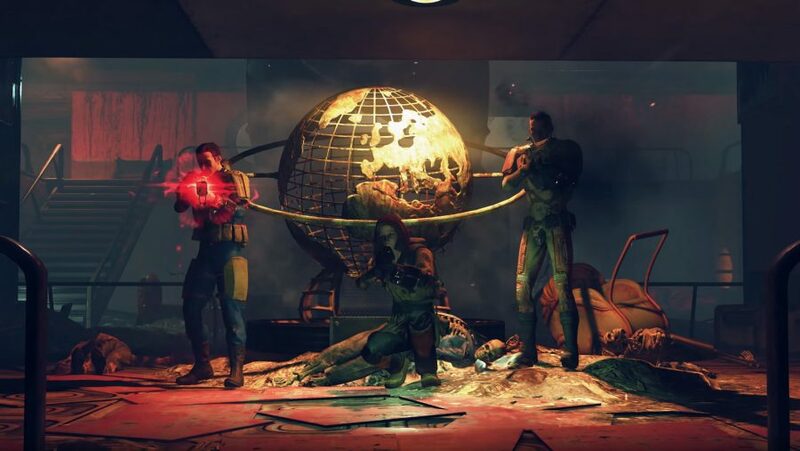 While in Fallout 4 you decided whether to side with the Minutemen, the Brotherhood of Steel, the Railroad, or the Institute, in Fallout 76 you can actually join all of the available factions – after all, there’s nobody around to call you out for your betrayals. 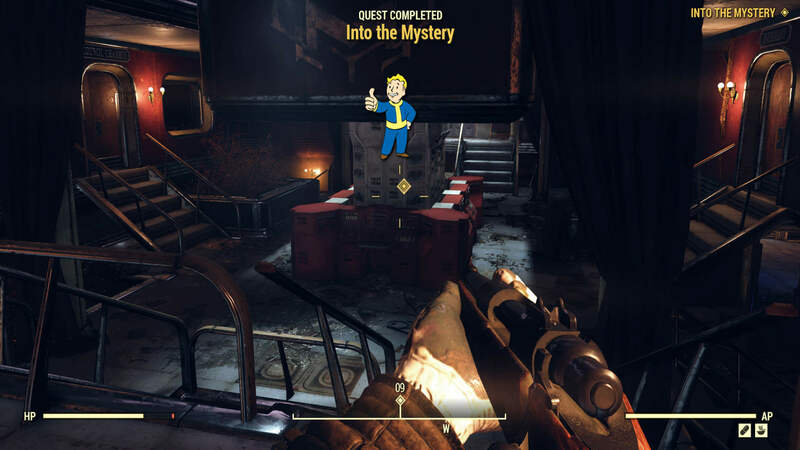 Each of the Fallout 76 factions has a series of quests for you to complete and will lead to some handsome rewards, including the ability to launch nukes. This isn’t easy stuff though; to access and complete the quests, you’ll be coming up against some high-level foes in dangerous areas. The Responders are the first faction you’ll find in Fallout 76, because they’re presented to you almost right away. As long as you follow the initial quest and don’t venture off gallantly by your lonesome, you’ll discover The Responders in and around Flatwoods. Their quest line serves as an introduction to the game; it takes you from Flatwoods up to Morgantown then down to Charleston, two of the bigger towns you’ll find in Appalachia. The Responders are a volunteer group comprised of emergency service staff like firefighters, medical workers and policemen and women. They made it their mission after the Great War in 2077 to assist survivors and teach them basic skills, in an effort to restart civilisation. 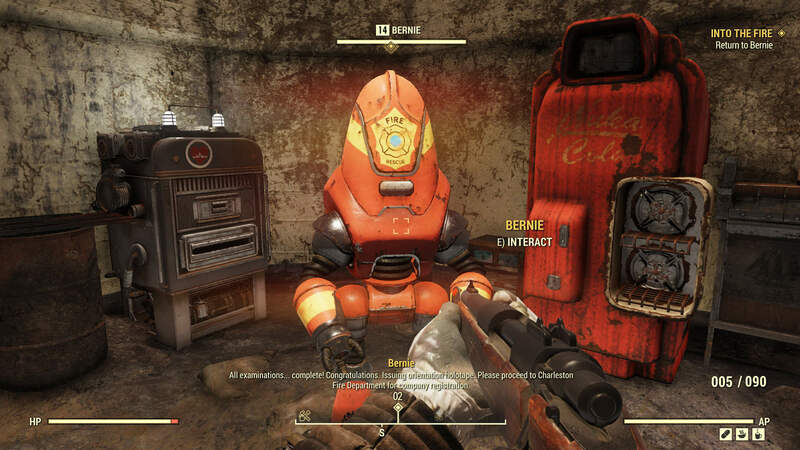 By the time you leave Vault 76 in 2102 though, the Responders have all gone, with the last remaining members being the Protectrons you often find throughout Appalachia. The Responders are the reason every train station has a vendor and utilities like workbenches and stash crates. Fire Breathers are the Responders that specifically deal with Scorched. They’re set up in the Charleston Fire Department, which is where you can sign up to join the Fire Breathers. You’ll then be taken south, to the Ash Heap region where you’ll need to complete a training exercise. The Fire Breathers final training exercise involves entering a burning mine shaft named Belching Betty. The place is infested with Scorched; you need to get inside, reach the the bottom, activate an emergency beacon, then get out. 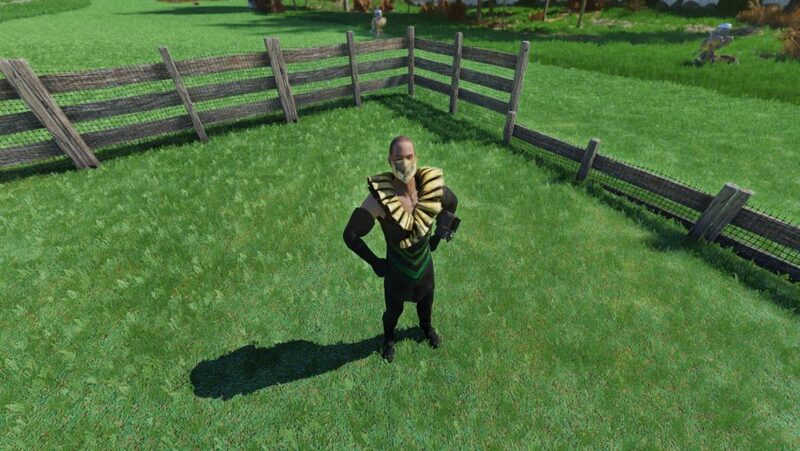 To protect you from the toxic environment you’re given a firefighters outfit from Bernie, the Fire Breather’s helpful Protectron located outside. You can learn a little more about the history and formation of the Fire Breathers via some holotapes found in Morgantown Airport. The Charleston Emergency Government are a faction in Fallout 76, but they’re just mentioned rather than being available to join. You can find everything about them in the Charleston Capitol Building, where you find out that they were led by Abigale Poole. The group consisted of surviving members of the West Virginia state government, including Majority Whip Tanner Holbrook and Chief of Police Mayfield. There’s a lot to learn about the Charleston Emergency Government so we won’t spoil it all for you. We’d recommend heading there and listening to the relevant holotapes and reading the notes for yourself. The Order of Mysteries is found in Riverside Manor, east of Charleston and next to the Summersville Dam. 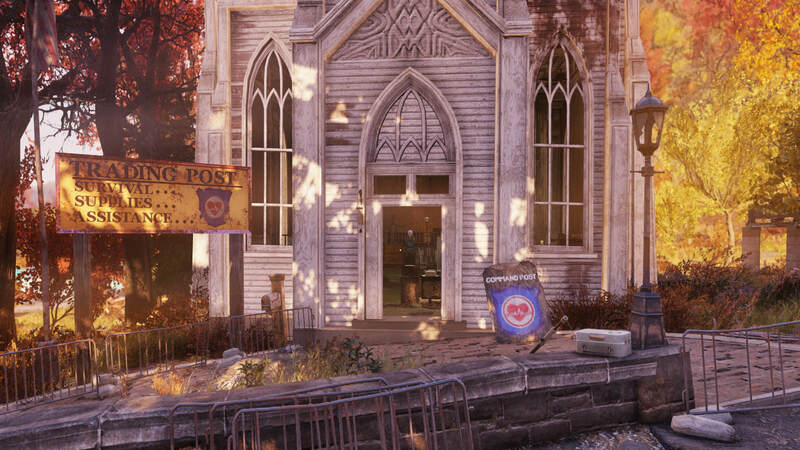 To gain access to the Order of Mysteries hideout though, you first have to go to the Whitespring Resort, which is located further east of Riverside Manor, south of the New Appalachian Central Trainyard. When you’re there, search the homes within the grounds of the Whitespring. You’ll stumble across a dead woman inside a shower; loot her holotape and listen to it to begin the Into the Mystery quest. You should have also received a Worn Veil quest item from her. Head back to the Riverside Manor, slay all the Scorched then equip the Worn Veil and walk into the front parlor room, which is left of the door as you enter the building. This will reveal a hidden entrance behind a bookshelf that grants you access to the Order of Mysteries and all of their quests. Interestingly, the Order of Mysteries is a secret organisation with only female members. If you played Fallout 4, you’ll remember the Silver Shroud radio and TV show. Well, the leader of the Order of Mysteries is the actress who plays the Mistress of Mystery in the Silver Shroud, Shannon Rivers. The Order has a number of members, each ranked in a hierarchy. You can join the Order of Mysteries and open a lot of doors for yourself in Fallout 76 – even if you’re playing as a man. If you’ve been paying attention to the various cryptids in the game, you’ll know one of the most elusive is Mothman. A terrifying creature that can be found via random encounter, it flies down and stalks the player, peering from behind its enormous red eyes. If you approach it, it will fly off. There’s no guaranteed location for the Mothman to appear, but at Point Pleasant, north-west of Flatwoods, there is a dedicated Mothman Museum. Pick the lock to the level two door at the back of the museum and head downstairs. You’ll find a room dedicated to the Mothman, complete with an altar, tree roots traipsing across the ceiling and creepy statues on the walls. There’s a couple of notes here for some background lore but unfortunately, we haven’t found a way to join the Cult of the Mothman or start any quests with them. Despite not having to do anything with them, we know that the Cult of the Mothman had been around for a long time prior to the Great War. The day before the bombs were dropped, on October 22 2077, the Cult conducted a ritual intended to summon the Mothman. Brother Charles said the ritual had worked and that the Mothman warned him of a flood that was going to happen, so the Cult took heed of his warning. That’s as much as we know unfortunately, though there may still be more to find. It is possible that this cult is connected to a Public Event that can be started at a lighthouse near Morgantown. Complete the event and you’ll be able to commune with the Wise Mothman and receive a helpful blessing. In Fallout 76, the Enclave is perhaps the faction with the biggest influence. 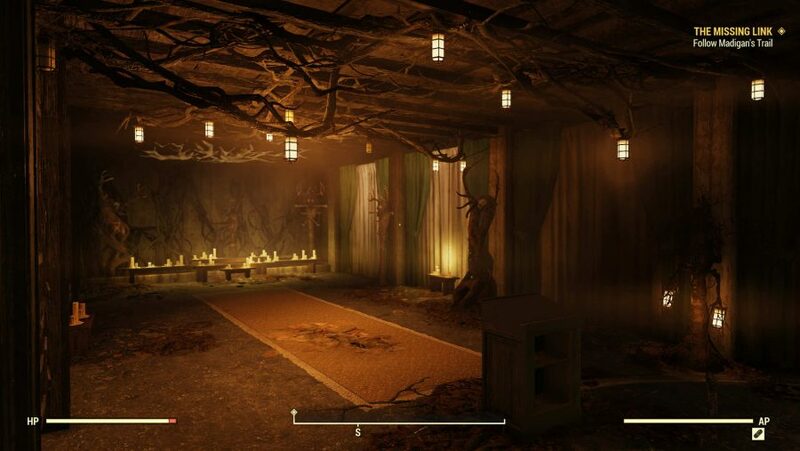 They’re located in Whitespring Bunker, an underground facility within the Whitespring Resort grounds, but you’re not able to access it right away. 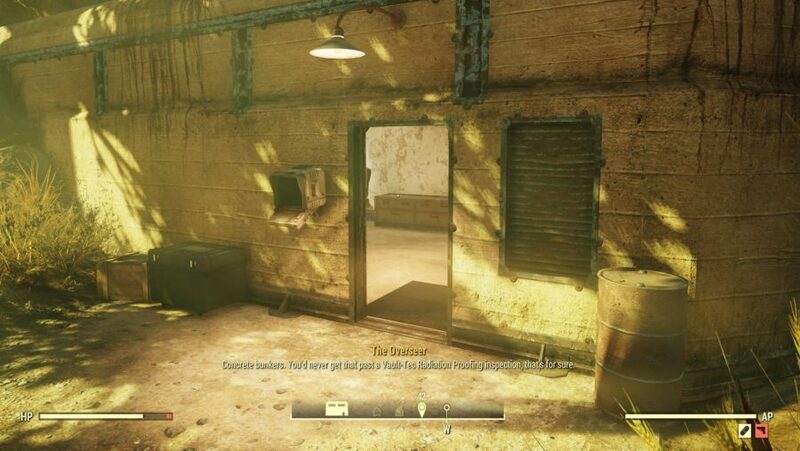 In order to start the Enclave quest line, you need to travel to the far eastern part of the map and look for the Abandoned Waste Dump. It’s located east, over the river from Berkeley Springs or north of Valley Galleria. When you arrive, you’ve got some serious fighting to do. Two Deathclaws are found inside the initial cave, one to the left of the entrance and one to the right. We found that sticking to one side doesn’t aggro the other Deathclaw, although one of them should be patrolling the place when you arrive so you may want to fight that one first. When you take out the Deathclaws, explore the left-hand side of the cave and you’ll find a dead Enclave soldier search them to find out how to access the bunker. Follow the instructions from there and you’ll gain access to the bunker. From there, it’s fairly straightforward and you’ll be given directions to the Whitespring Bunker. MODUS, the seemingly sentient AI will greet you and direct you on how to join the Enclave through a series of tasks. This is one of the locations you can launch nukes from in Fallout 76, so joining the Enclave is a very tempting offer. If you’re in the dark as to who or what the Enclave is, they’re an organisation that first appeared in Fallout 2 and has been seen or mentioned in every instalment since. They’re comprised of descendants from the United States government and other powerful corporations that worked with them. Historically they’ve been viewed as a terrible group to be involved with due to their disdain for anything that isn’t purely human, while also committing horrible atrocities on humans, too. For example in Fallout 2, they abducted an entire community in order to perform tests on them. Co-founded by senator Sam Blackwell, one of the first named people you’ll hear about on the Enclave journey, the Free States were a small group of people that worked together to survive the nuclear bombs inside concrete bunkers found in The Mire region. When they finally emerged, the members of the Free States discovered Scorched and the monsters that created them, Scorchbeasts. They made it their mission to research ways to defeat the Scorched and ultimately the Scorchbeasts, but they all perished before finding success. There’s three bunkers in The Mire; Abbie’s, Ella Ames’ and Raleigh Clay’s. Raleigh Clay was the leader of the group and the other co-founder alongside Sam Blackwell, though his bunker is the only one you need a password for. You want to start the Free States journey by heading to Abbie’s Bunker in the far north-eastern corner of the map, where you’ll gain access to the other two. The Free States quests are dangerous, with multiple Deathclaw and other cryptid encounters along the way, so make sure you’re a high enough level to tackle them. One of the most famous Fallout organisations, the Brotherhood of Steel can be found in Appalachia. As you progress through the Free States quests you’re actually directed to the Brotherhood of Steel location, so you’re best bet is to kick off with the Enclave, moving on to the Free States, and finally the Brotherhood of Steel. Led by Elizabeth Taggerdy, the Appalachia chapter of the Brotherhood of Steel was formed after Captain Roger Maxson, the founder of the Brotherhood, convinced Taggerdy to leave the United States Armed Forces. 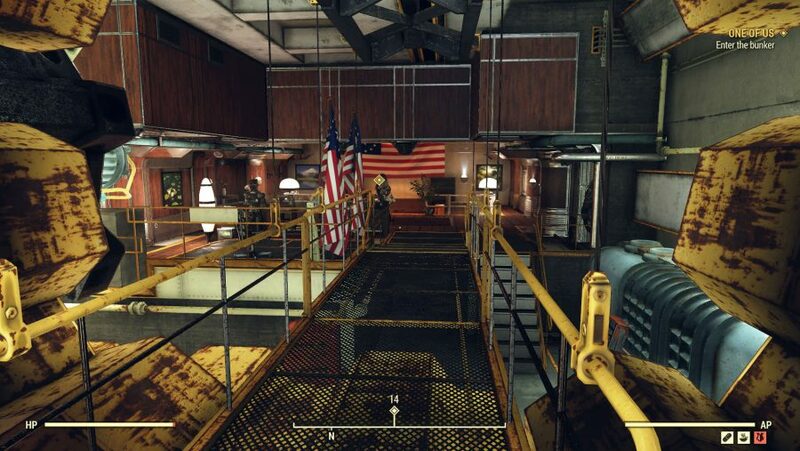 As you’ve undoubtedly realised given the lack of human NPCs in Fallout 76, the Brotherhood of Steel have been completely eliminated by Scorched by the time you get to their headquarters at Fort Defiance. That’s in the south-eastern corner of the map, right on the border to the Cranberry Bog area. Along with Fort Defiance, the Brotherhood of Steel has numerous outposts set up across Appalachia. Locations include Camp Venture, Grafton Dam, Spruce Knob, Survey Camp Alpha, Firebase Major, Firebase LT, Forward Station Alpha, and Big Bend Tunnel East. There’s not a lot you can do for the Brotherhood in-game but you can see the effect they had on the world through plenty of notes and holotapes. Ah, everyone loves Raiders, right? The infamous common enemy found in multiple Fallout games, the only Raiders you’ll actually be seeing in Fallout 76 are the corpses littered across locations you visit. Believe it or not though, you can actually help the Raiders and complete a quest for them because their leader is a Miss Nanny robot. Head to the Top of the World location, directly north of the Whitespring Resort and east of Horizon’s West. You’ll come across Rose; a Miss Nanny with the personality of Rosalynn Jeffries, a member of the Cutthroats who were one of the Raider gangs. Her quest involves building a Signal Repeater for the Raiders, followed by shooting a Yao Guai with a Karma Syringe. There’s not much lore to the Raiders; the Appalachia group were made up of five gangs, each with different specialist skills. 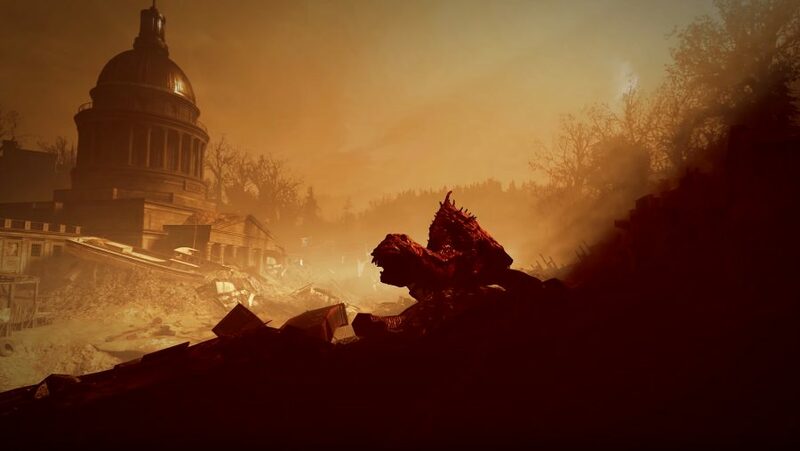 As is the case with most of the groups in Fallout 76, they were all seemingly wiped out by Scorched.